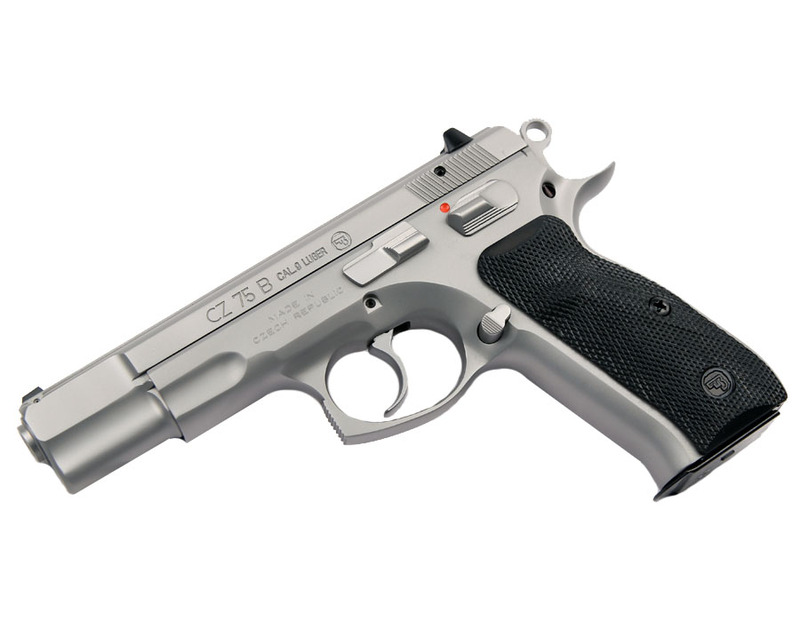 The CZ75B model is based on the familar and highly regarded CZ75 9mm pistol design used by Law Enforcement and Military forces worldwide. The finish is a matte stainless for increased corrosion resistance. This gun features an ambidextrous thumb safety only, fixed sights and two 16 round magazines. Comes with a hard carry case and manual.